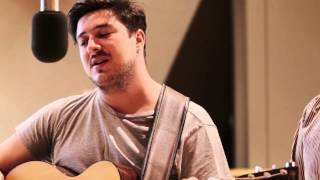 Mumford & Sons perform a stripped-down version of "Reminder" during their 90-minute radio takeover. Mumford & Sons - Reminder (Live on 89.3 The Current) ... Mumford & Sons perform a stripped-down version of "Reminder" during their 90-minute radio takeover. Dec 16, 2012 · Mumford & Sons visited In:Demand HQ to record some session tracks for Jim Gellatly's In:Demand Uncut. www.indemandscotland.co.uk. Chords for Mumford & Sons - Reminder (Live on 89.3 The Current). Play along with guitar, ukulele or piano using our intuitive playback interface. Mumford & Sons perform “Reminder” during a live session for 89.3 The Current in St. Paul, Minnesota before their show at the Xcel Energy Center on September 4, 2013. Mumford & Sons - Reminder (Live on 89.3 The Current) | See more about mumford, mumford sons and sons. the current 89.3 < > Most recent. Most popular Most recent. Filter by post type. All posts. Text. Photo. Quote. Link. Chat. Audio. Video. Mumford & Sons - Reminder (Live on 89.3 The Current) Просмотров: 266192 ... Of Monsters and Men performs "Little Talks" live on 89.3 The Current. Reminder Mumford and Sons Last Played October 30, 2014 - 9:04 PM Album Live Current Vol. 10. Average rating. ... (Live on 89.3 The Current) Doomtree, Live at The Current.